I love when events evolve. Just from the first to the second, it grew. More vendors, more people, more fashion. 🙂 This go round, the fashion show featured fashion bloggers (maybe I should start writing about my fashion finds and opinions so I can participate next time), and there were some #wins and a couple of #fails. Of the wins, my fave items (not on one person but throughout the show so don’t be alarmed, lol) were a denim striped blazer with very defined shoulders, a polka dot sheer shirt, a very cute orange printed long sleeveless wrap dress, and some fabulous red platform pumps. I know you’re waiting on the deets on what I bought, right? 🙂 I didn’t spend as much as I did last time, but I supported an already favorite vendor and found two new vendors. 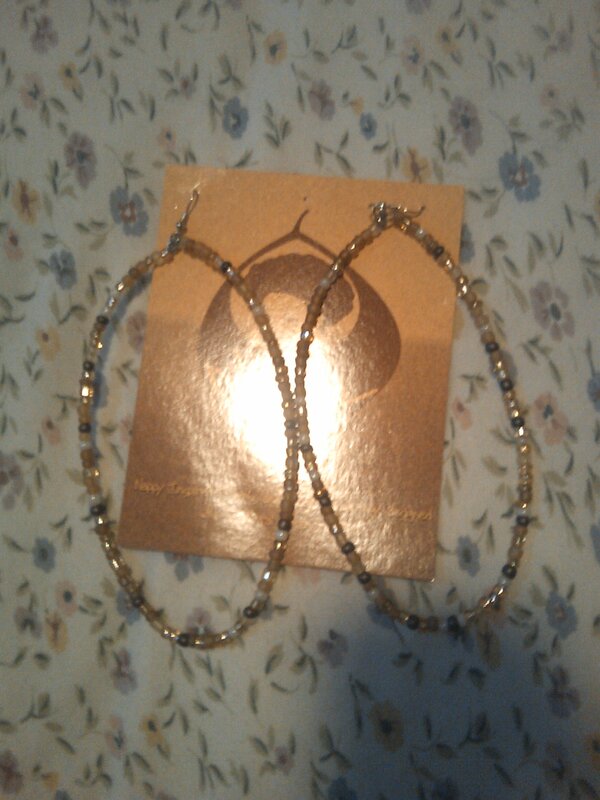 My first purchase was this great set from Wendy Derilus of Traci Lynn Fashion Jewelry. 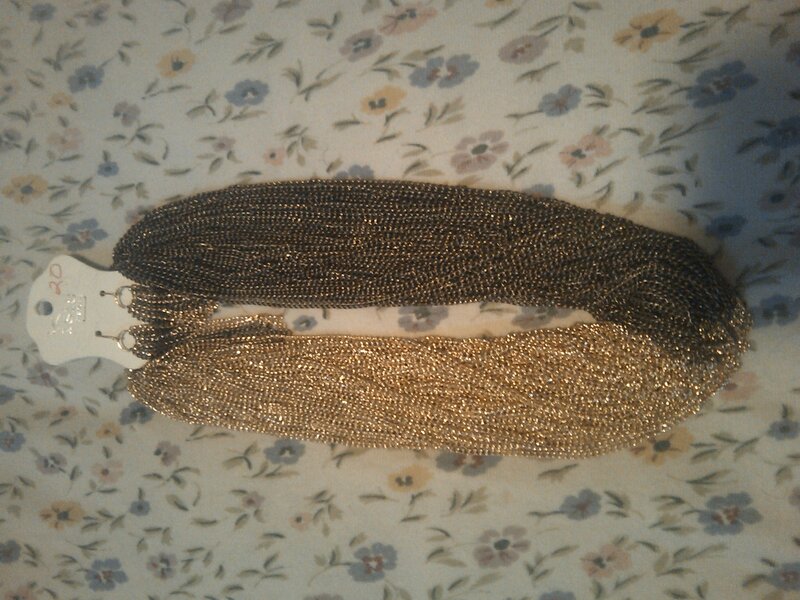 Metallic combo at its best. I can’t wait to get jiggy in this. Then I got a lovely little accordion style dress that I plan to layer for the fall and let loose in the summer. 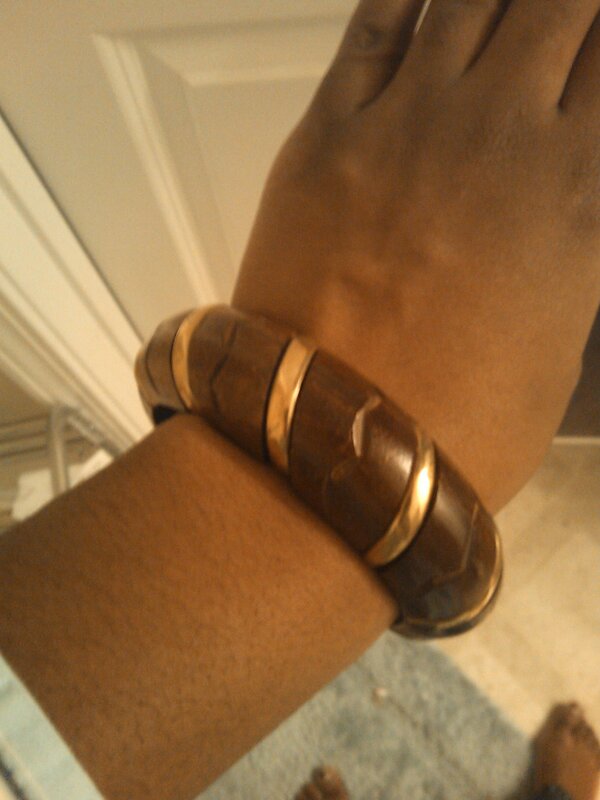 Wasn’t very photogenic, but I got this great wooden bracelet with gold accents from the same vendor. I’ll have to log on later tonight to give you the link to this vendor. Sorry!! Finally, nearing the end of my budget for the day (I did a wee bit of shopping before I got to Swapnista, oops), I had to show some love to Nappy Rutz and picked up these great earrings. This time I brought a friend with me, and I’m sure she enjoyed it as well. She bought more jewelry than I did! Kudos to another great event! Can’t wait till the next!